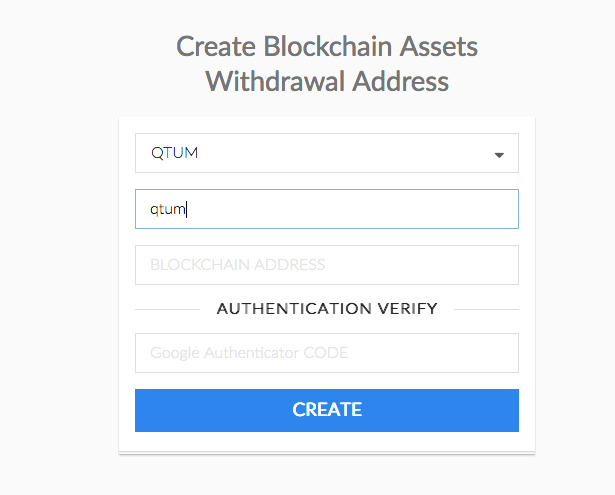 How do you create a QTUM wallet of your own to withdraw to? You can leave the IOUs on the exchange as you wish. This ERC-20 option is for those who wish to hold their tokens and move them around freely. You can use MyEtherWallet and simply hit add custom token and input these details. The ERC-20 Qtum token isn't the Qtum network token, but you will be able to swap them. Thank you for the detailed and quick reply. i buy Qtum in https://qtum.bizhongchou.com by Bitcoin. When can i withraw it ? Bizhongchou emailed me and said the tokens will be available for withdraw in a couple of days. They also told me that the english version of the website will be available in about a week or so. They have everything translated and are now testing. Did you make the custom qtum token yet? @frankrbruno not sure what you mean , are you reffering to the ERC-20 token created ? Yes did you make the custom erc 20 qtum token yet? @frankrbruno yes i have an ETH address on myetherwallet. should i put the ETH address in this field and then send it out ? Fee asset insufficient. Withdraw Ethereum token needs Ether to pay for the miners' fee, please make sure you have more than 0.01 Ether in your account. You have to have ether for gas but did you make the custom qtum token in myetherwallet? Like did u create the qtum token using the contract address and 18 decimal? @frankrbruno hi, ok no i havent. i assumed because it was an ECR-20 token i can just send it to the address and it should be fine. After I place this information then what happens? Will Qtum then send my tokens to the address they receive from my MEW wallet? I hope I am understanding this correct. @altcoinbonanza After creating the custom token, you withdraw your QTUM via your MEW ETH address. You are essentially sending Ether to a QTUM contract address. @qtumbob Ok I think I get that.